Child custody cases are tough on families. There’s so much at stake, and when one party doesn’t agree with the decision of the court, they often wonder if they have any options. Michigan law allows chief circuit court judges to appoint a domestic relations referee to hear motions in a domestic relations matter. 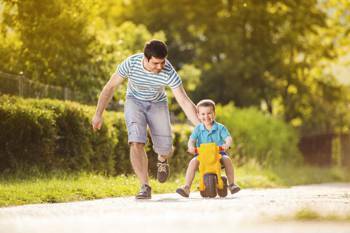 Child custody falls under the umbrella of a domestic relations matter. In Michigan, any decision rendered by a family division judge may be appealed to the Michigan Court of Appeals. A parent can also request that a judge review the decision of the referee. If you are considering appealing a lower court’s decision related to child custody, it is extremely important to secure the help of an experienced family law attorney. Individuals who feel that they lost in a child custody decision can always petition the court to order parenting time, which is time set aside by court order for a parent and child to spend time together in lieu of formal custody or joint custody. The State of Michigan recognizes that relationships between parents and children should be maintained to the greatest extent and understands that in order for relationships to flourish, time must be set aside. Sometimes, parenting time alleviates the need for appealing a referee’s decision. Parenting time should always be considered by the parent who was not awarded custody. In all child custody cases, parents should seek sound legal representation. While any lawyer authorized to practice law in the state can technically handle a child custody case, it is wise to select a lawyer with a demonstrated track record of representing parents in child custody cases. If you are in the midst of a child custody case and do not have a lawyer on your side, the lawyers at Gerkin & Decker, PC can be relied upon to handle every aspect of your child custody case. We maintain a long history of receiving favorable rulings for our clients. If you have lost a child custody case and are seeking full or joint custody, contact us today to schedule a consultation.